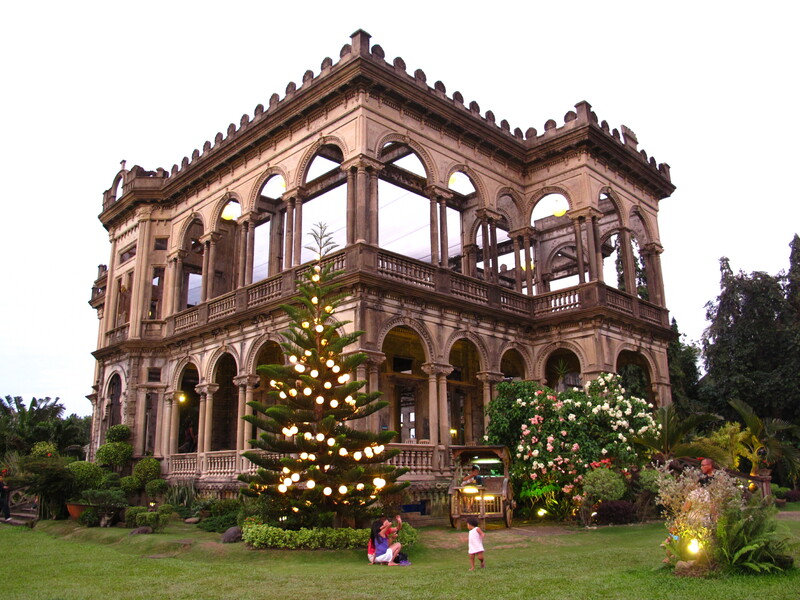 Silay City, is less than an hour away from Bacolod City. Just a 30 minute drive. It is in the Philippines’ Western Visayas region and the flight took less than an hour from Manila. 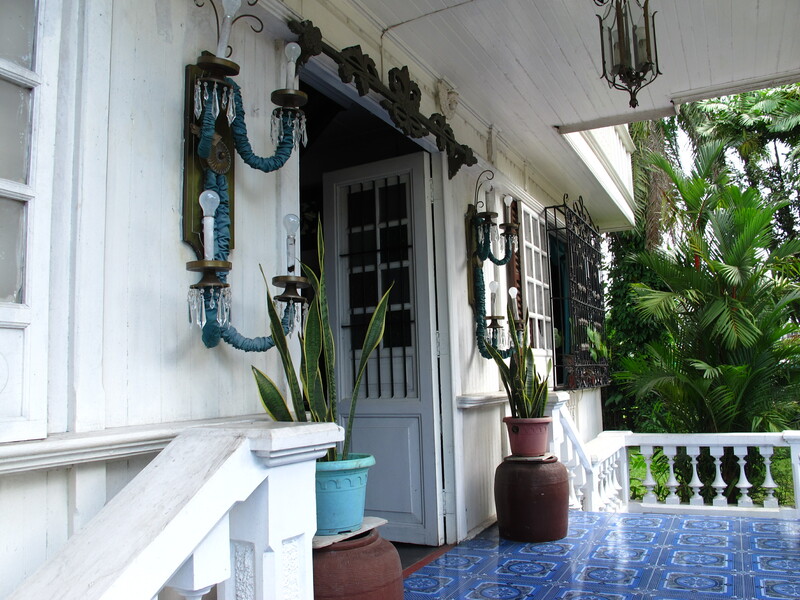 Because it counted many famous artists during its heyday, it was then dubbed the “Paris of Negros”. A number of heritage houses , mostly built at the turn of the 19th century, still exist, some remarkably well preserved, to this day. It should be mentioned that Negros is the seat of the country’s sugarcane industry. Many sugarcane plantations flourished and brought wealth to a number of families here. 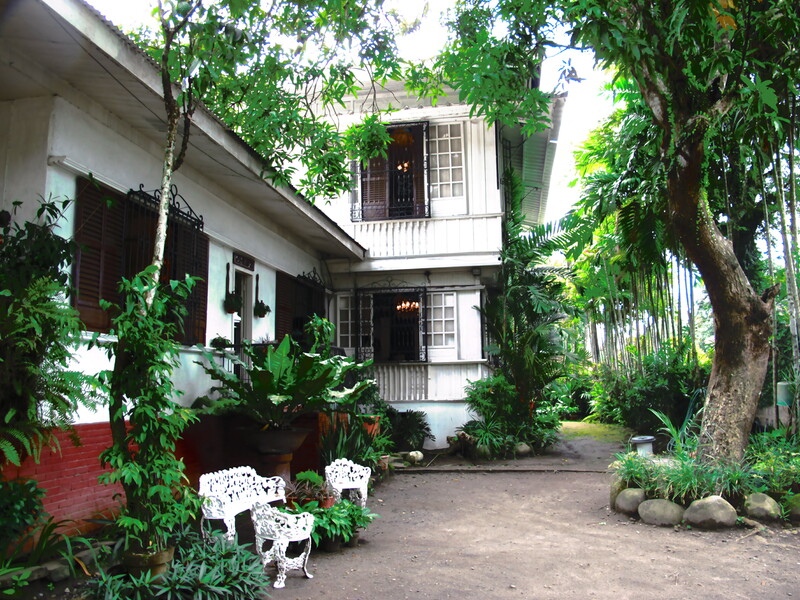 In our country, they were called hacienderos, taken from the word “hacienda” which means a big plantation or farm. Hacienderos refer to their owners or the families who owned them. These days, whenever we meet landed gentry, rich elitist families, we are tempted to call them “hacienderos”. 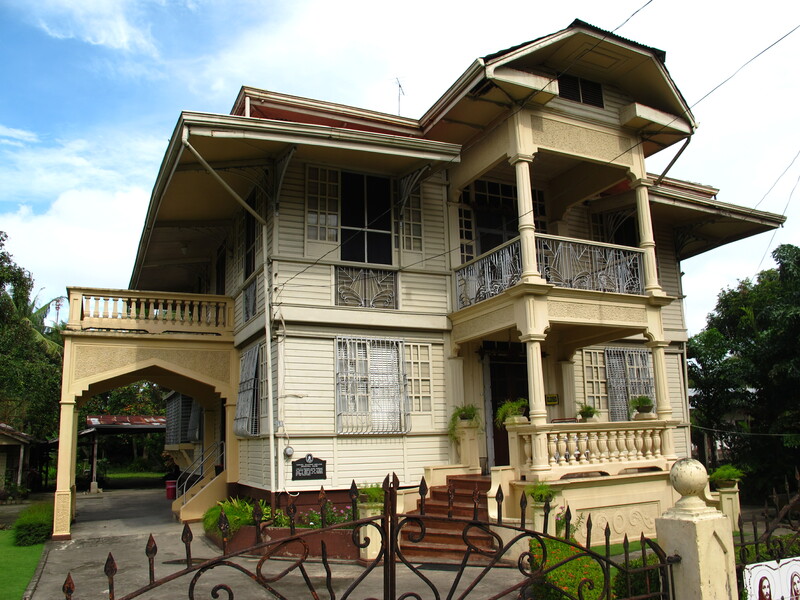 Silay City enjoyed its Golden Age with the boom of the sugar trading industry. This is the period from 1880 to 1930. Many of our parents and grandparents were born during this period. The city oozed with wealth and enviable affluence. Children of many sugar barons enjoyed their fortunes which manifested in the number of beautiful ancestral homes in the city. Interestingly, this period was also marked by the country’s bid for independence from Spain. More interestingly, many of our national heroes and artists actually came from prominent families such as the barons from this part of the country. 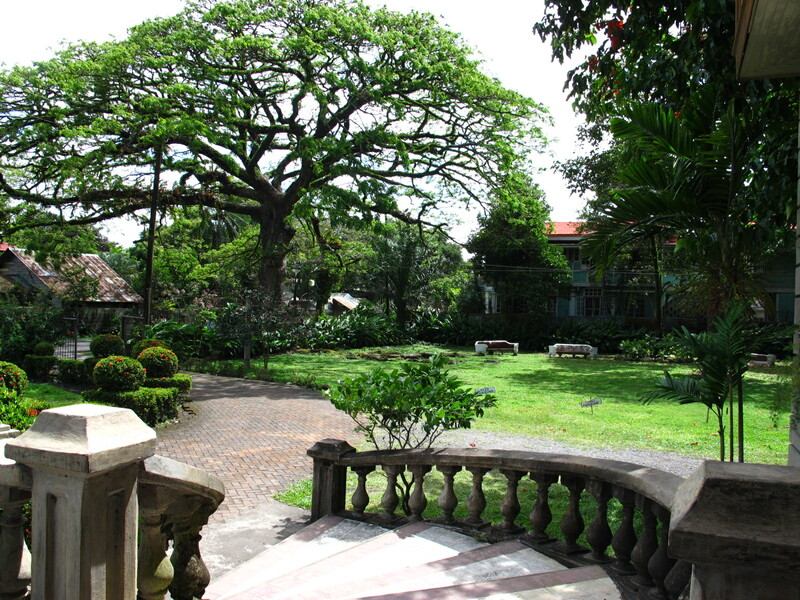 For a while, Silay City and its neighboring Bacolod City served as the hub for European artists and musicians. This atmosphere must have spawned the emergence, and prominence of many of our local artists and musicians in this part of the country. Victorias Milling Company is about an hour away from Silay City. You’d better believe this, but it used to be the world’s biggest mill from 1960′s -70′s. No wonder then, right? After all, these hacienderos observed a regular schedule of work limited to just 6 months (planting season), and another 6 months of harvesting and spending their fortunes. Those 6 “idle” months must have invariably spelled “party season” for the rich and famous Ilonggo families. Naturally, the ancestral houses one finds here have big lawns and gardens, as well as grand receiving rooms complete with chandeliers and grand pianos . Imagine the parties they threw here when the scions of wealthy families must have grown tired counting their fortunes! Not far from the Hofilenia House but not open to the public is this private home formerly owned by the family of Teodora Morada. The Dimacalis who bought this property restored, maintained and preserved the grandeur of this charming white colonial house. As with the Hofilenia residence, there was also the grand staircase where one imagines the debutante daughters of the former owners of this mansion walking down , resplendent in their designer gowns. Teeming with prosperity, many daughters from these wealthy families enjoyed this “introduction to society” (debut) by way of lavish parties celebrating their 18th birthday. 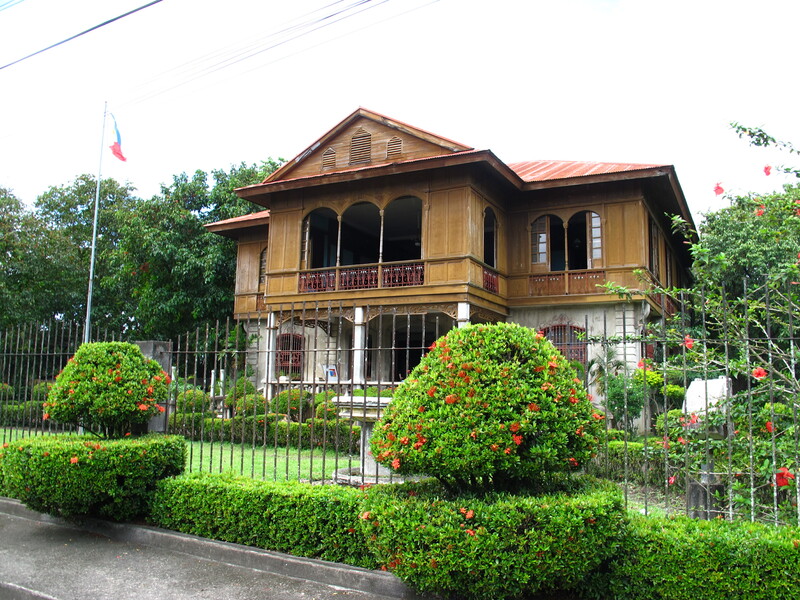 Bernardino Jalandoni House , now also a Museum, was built in 1908. 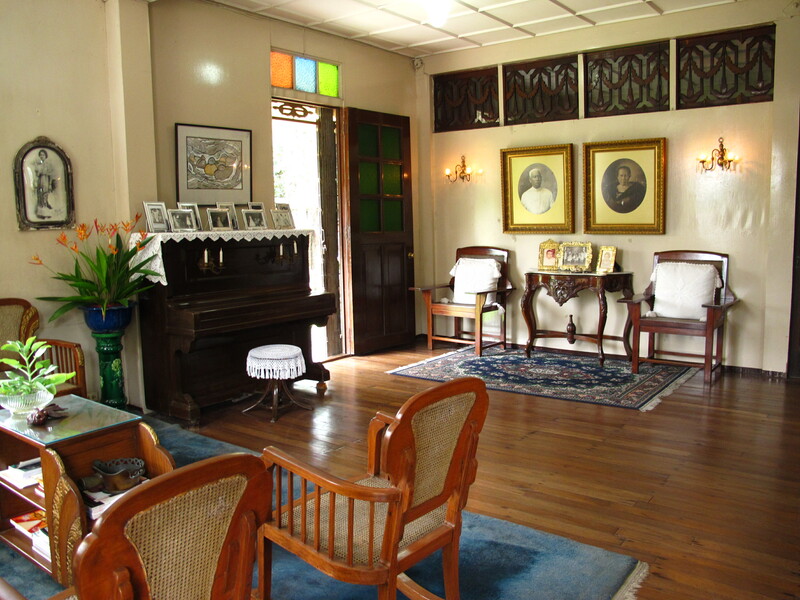 This house showcases the affluence of Negros at the turn of the 19th century. All items on display are authentic period pieces. Interestingly, a grandson of Don Bernardino is a high-ranking leader of the country’s Communist Party. His name is Luis Jalandoni who is now exiled in the Netherlands. 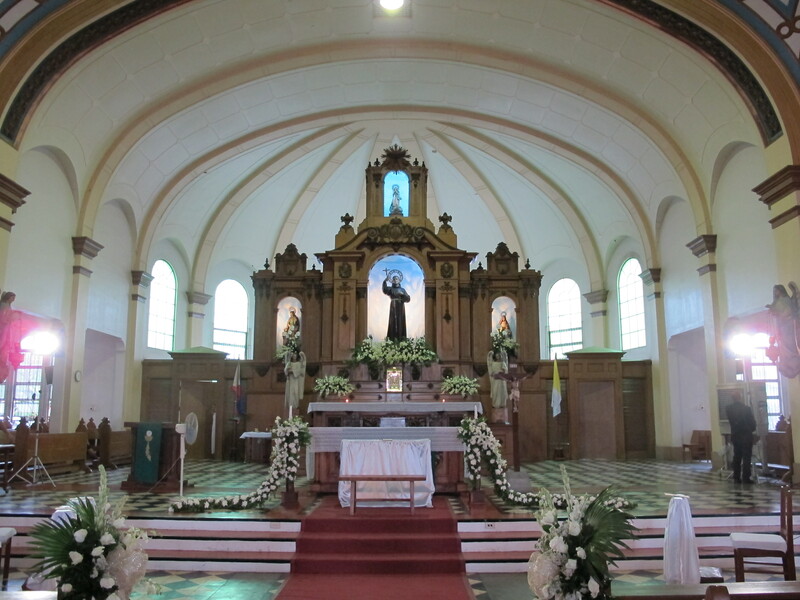 (It is located at Rizal Street with Tel. No. 4955093. It is open Tuesday to Sunday from 10:00 a.m. to 6:00 p.m.). Strolling along this same Rizal Street, one finds many more heritage gems which have since been converted into banks, eating establishments or other business offices. 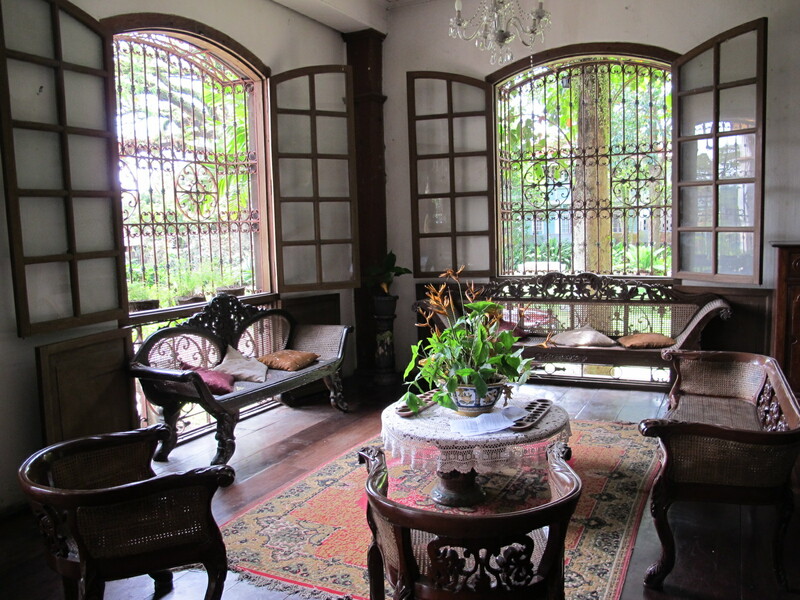 The entire Silay City is definitely one heritage town! The Ruins. 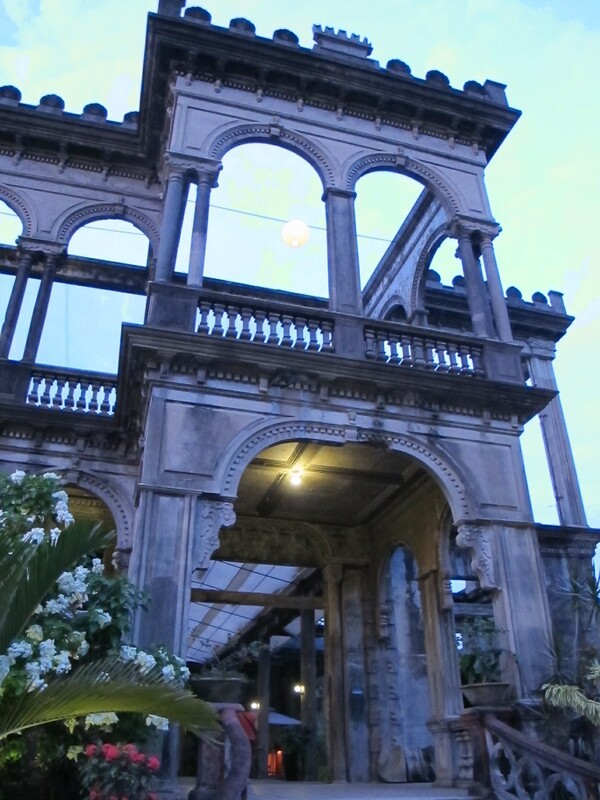 That’s how they call this former mansion built by Don Mariano in memory of his departed wife Maria Braga who died while giving birth to their youngest child in 1911. Sounds similar to the Taj Mahal of India? The Mansion pales in comparison to the Taj Majal, but its timeless elegance resonates of an era when sugar barons ruled the land. What is amazing about this place is that it was built right in the middle of the sugar plantation. With its many huge windows, the sugar barons of those days must have enjoyed a 360 degree view of their sugar plantation as the “sacadas” (paid farm hands) tilled the soil. This place is best visited at dusk. Pray there is no school group or big tour groups when you visit! And then there are the eating places in Silay. 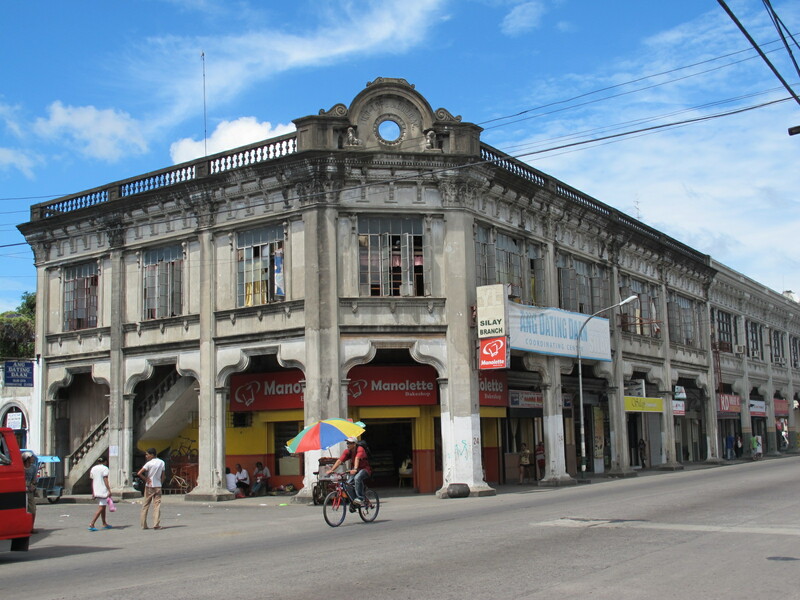 El Ideal Bakery and Restaurant on Rizal Street, Silay City is one of the oldest restaurants in Silay or in Negros Occidental famous for guapple (guava and apple) pies, buko (coconut meat) pies and assorted delicacies. I have not stopped eating since I arrived here in Silay City, but I certainly made sure I had room for the guapple pie, lumpia ubod which are rolls with heart of palm fillings, batchoy (a very Ilonggo soup dish). El Ideal also has a “pasalubong center” (gift center) and some take outs include ibos (made from corn, wrapped in banana leaf like a suman), puto lanson (a kind of rice cake made from coconut meat), piayaya, and many more. Surely, a trip to Silay City is never complete without trying out these native delicacies! If your pockets are lined with wads of pesos, try the Showroom. Here is a place where souvenir items are put in a different class worth every cent of their price tags. The capiz serving trays, bags made from indigenous materials, hand-crafted and intricately-designed neck and ear pieces, as well as sugary and baked foodstuff make for a shopping sidetrip to remember or …. avoid. 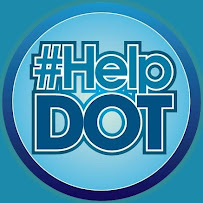 Go check out this link too. More photos. UVUD ng Sarap....What's There To Eat In Batanes? Have you heard of Asao of Cavite City?